The upcoming protests have already attracted the attention of authorities—including the FBI. 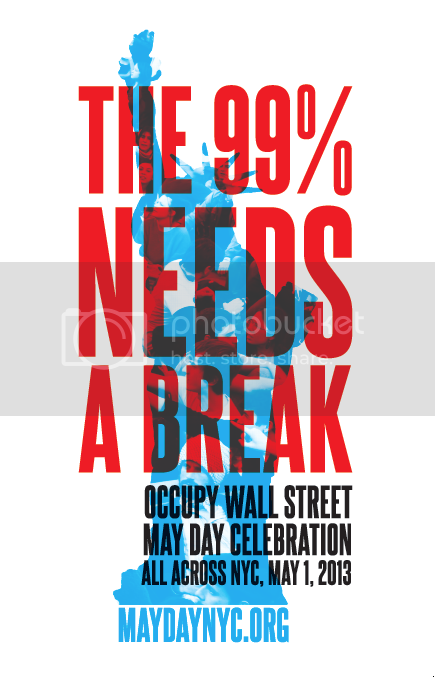 Protest groups across the country are gearing up for May Day protests on Wednesday. In New York, Occupy Wall Street has posted a schedule for the day, kicking off with young workers marching from Bryant Park in solidarity with the Transport Workers Union. Occupy says it plans to visit the offices of union busters and companies with whom the TWU members have contract disputes. I will be live-tweeting from May Day 2013. Follow me at @allisonkilkenny and check back here for a full report.